Tender and sweet dried fruits are healthy way to send your sentiments. Makes a thoughtful Thank You, Holiday or everyday gift. Kosher Certified OU. 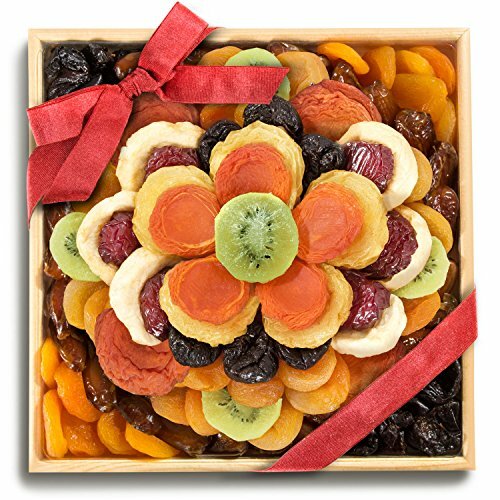 A beautiful floral-like arrangement of favorite dried fruits. A kiwi center surrounded by plenty of dried apricots, dried peaches, and pears. Fresh dates, dried Angelino plums and prunes. If you have any questions about this product by Golden State Fruit, contact us by completing and submitting the form below. If you are looking for a specif part number, please include it with your message.